When it comes to the most important relationship of all, the relationship that each of us chooses to establish with God, most of us are quick to avoid transparency in that relationship, too. And that’s where The ManCode comes in. 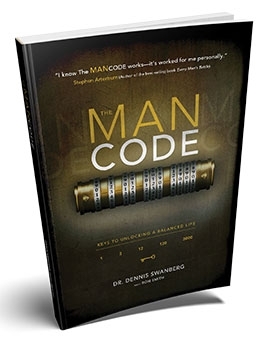 The mission of The ManCode is to provide men with keys to unlocking a balanced life, to strengthen their relationships with God, their advisors, their friends, their church, their community... and ultimately their world.